Today, we will resume our discussion about the waṣla. We had promised at the end of the previous episode to present to you a complete waṣla recorded at the Egyptian National Radio. 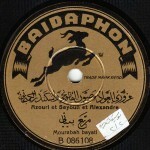 The first testimony is about the waṣla and the way it was affected by the record companies. It is presented by Prof. Frédéric Lagrange. The waṣla is a musical structure made of the vocal passages or the instrumental passages, sung or played for half an hour or an hour. The common denominator between all the musical passages within the waṣla is the same maqām. So, the waṣla can be to the bayyātī, to the rāst, …etc. Note that the disc industry never tried to record a waṣla. There is no record collection of a bayyātī waṣla, of a rāst waṣla, …etc. Did the oriental musicians make this decision that was later applied by the record companies? God knows. However, note that the waṣla reached us in a completely deconstructed form in these records. There are records of taqāsīm, records of mawāwīl, records of adwār, and records of qaṣā’id. Each one of these forms requires one or two discs by itself. We can rarely find a record that includes two forms, except for the layālī, i.e. the layālī preceding or concluding the piece. There are of course some exceptions, a qaṣīda following a dawr directly, for example. This was often done to fill a gap when the disc was not fully recorded. For example: after a certain dawr, Sheikh Yūsuf would recite a qaṣīda to conclude the record. We do not even know if this habit reflected in a way or another the reality of concerts. Writings about concerts state that the qaṣīda is in the third waṣla, and there is no source stating that the muṭrib can sing a qaṣīda directly after the dawr within one waṣla. Maybe –and I am neither affirming nor confirming this issue– these choices could be those of the record industry itself. The second testimony is about the man behind the waṣla we will listen to in today’s episode, presented by the great Egyptian poet –and colloquial language poet– Mr. Aḥmad Fu’ād Nagm. “Uncle Ṣāliḥ and Sheikh Zakariyyā used to go to Qābīl’s children. Uncle Ṣāliḥ and Sheikh Zakariyyā were on very good terms with them. Uncle Ṣāliḥ attended the wedding of poor people and insisted on providing the entertainment himself. He sat in Hāj Aḥmad’s café and sang without a microphone from 10 to 11 o’clock. After 12 o’clock, Ṣāliḥ ‘Abd al-Ḥayy shot off and started performing tajwīd then concluded with “Lēh yā banafsag”. 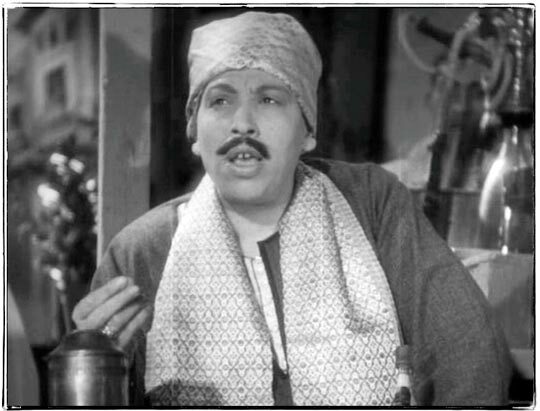 Anyway, dear listeners, we will listen to Ṣāliḥ ‘Abd al-Ḥayy singing a waṣla to the rāst maqām with his biṭāna and his instrumental band. then a samā‘ī rāst played by Muḥammad al-Qaṣṣabjī. 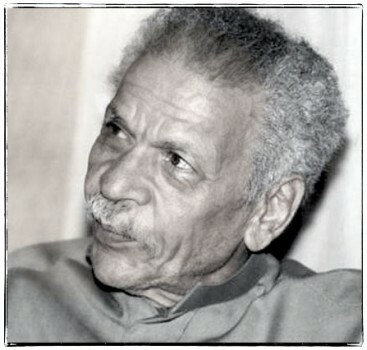 then dawr “Bustān gamālak” written by Sheikh Muḥammad al-Darwīsh and composed by Muḥammad ‘Uthmān. We have already mentioned the names of all the takht members except for the percussionist Ibrāhīm ‘Afīfī and the biṭāna including Sheikh Maḥmūd Mursī and Muḥyiddīn Abū al-‘Arabī, and others I honestly do not know. 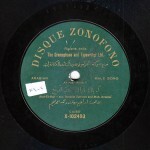 The recording was made in the late 1940s at the Egyptian National Radio. With this immortal recording we end today’s episode of “Durūb al-Nagham”.